The weather is getting warmer, the days are getting longer – spring is in the air…and Shavuot is almost here! The warm weather and dairy Shavuot meals provide the perfect excuse to pop the corks on the newest vintages of white and rosé wines. Aside from some oak-aged white wines, most white and rosé wines should be consumed young, while they are fresh and crisp. Which means that when selecting a white or rosé this Shavuot, try to buy wine from recent vintages such as 2007 or younger. Also remember to serve these wines chilled, but not too cold – that can mask some of their aromas. Try removing them from the fridge about 10 minutes prior to drinking. With its refreshing citrus flavors and lip smacking acidity, Sauvignon Blanc is the perfect pairing for a festive, milchig meal. And some of the best examples of Sauvignon Blanc are coming out of New Zealand, where the Goose Bay winery is producing terrific wines. 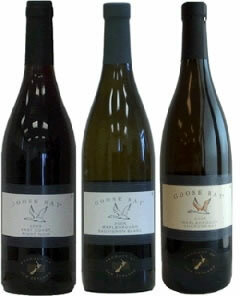 The 2009 Goose Bay Sauvignon Blanc has a bright acidity that is sure to make your mouth water. Tart citrus and fresh cut grass aromas, together with the aforementioned acidity, make this versatile food wine an ideal pairing for a salad, sushi or savory cuisine. I recommend it with Greek Salad and Salmon with Basil Butter. Mix half the dressing with the romaine lettuce on the bottom of the bowl. 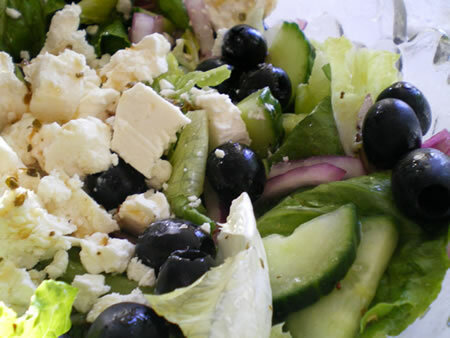 Layer the remaining ingredients one at a time ending with the feta cheese on tip. Drizzle remaining dressing over the salad and serve. Begin by preheating a large outdoor grill. Wipe down the grill with olive oil to clean it and also create a nonstick surface or spray with non-stick spray for outdoor grills (standing away from the grill in case the spray causes the flames to rise out of the grill). Prepare the compound butter by roughly chopping 1/2 the basil leaves and adding it along with the butter and salt and pepper, to taste, to a food processor. Pulse until fully combined and creamy. Using a chef's knife, make slits in each side of the fish, place a few slices of lemon and basil in each of the slits. Paint the whole fish with the basil butter and refrigerate the remaining butter to serve with the finished fish. Carefully place the fish on the grill and grill for 10 to 12 minutes until it lifts off easily - use 2 large spatulas. Turn the fish over and grill for 10 minutes more. This fish can be baked for 20 minutes in a 375 degree oven. Serve on a large platter family style and dot with the remaining basil butter. Sprinkle with sea salt and fresh basil leaves. Serve with lemon wedges. Chardonnay has for years been the go-to white wine for many people. The ultimate Chardonnays are those made in the Burgundy style; aged in new oak barrels and allowed to undergo a secondary fermentation process (known as malolactic fermentation) that leads to a wine with aromas of toast (from the barrels) and butter (from the secondary fermentation). These robust whites are great in the winter time, but can seem a little heavy as the weather warms and the foods we eat are lighter. Recognizing the need for lighter Chardonnay, we are seeing wineries producing Chardonnay that is made without the barrel aging and secondary fermentation, resulting in wine that is lighter and allows the grape's fruity characteristics to shine through. 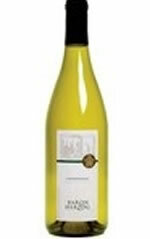 The 2007 Baron Herzog Central Coast Chardonnay is crisp and refreshing. Aromas of tropical fruit and chamomile and flavors of apple, pineapple and pear, with a hint of toasty vanilla make this wine an excellent choice for a light lunch of lemon sole and olive couscous. 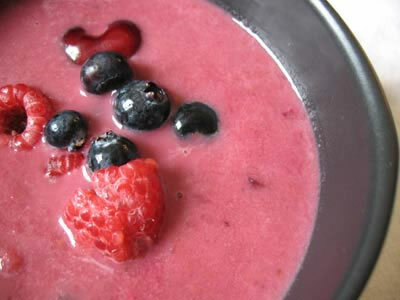 I recommend it with a light dairy berry fruit soup or a Wild Rice Salad with Sweet Cherries and Sage. Whisk all ingredients together except the berries. Chill thoroughly. Slice strawberries and leave other berries whole. Add berries and serve. Soak rice 5-10 minutes in cool water. Drain and rinse. Add salt to water and bring to a boil. Add in the wild rice and reduce heat. Cover loosely and cook 45-60 minutes until firm, yet tender (not mushy). Drain excess water, fluff with a fork and cover. Allow to stand for 5 minutes. Transfer the wild rice to a large bowl. Stir in cherries and allow to cool. Add celery, scallions, orange sections, fennel, onion, watercress and walnuts. Gently combine. Cover and set aside. In a small bowl combine the vinegar, juices and honey. Stir well. Add in chopped cherries and sage. While whisking continuously, or using a hand blender, pour in the remaining oils. Adjust seasonings with salt and pepper and pour over the Wild Rice Salad. Serve at room temperature. Prepare the additional salad ingredients and dressing while the rice is simmering. This dish can be prepared up to 2 days ahead of time. Remove from fridge one hour before serving. Add dressing just before serving. Bordeaux wines are red wine blends made from several grape varietals and some of the most complex wines in the world. Similarly, wineries today are also blending white grapes and the results have been some very interesting wines. Many of these white blends combine the best characteristics of the different grapes so that the whole is better that the individual parts. Thankfully, these white wine blends don't cost as much as the top red Bordeaux blends. Spread romaine lettuce on platter. Down the center of the lettuce (the long way), alternate the grapefruit, orange, and avocado slices. Top with the almonds. Drizzle the dressing over the top of the salad. Combine all ingredients. Shake vigorously. Wine complements food and completes a meal. Save the grape juice for the kids and indulge in a refreshing glass of wine this Yom Tov. But remember that whether white, rosé or a robust red, the most important factor when choosing a wine is finding one that you enjoy. And of course drinking it with delicious food. Gary Landsman, AKA the “Wine Tasting Guy”, makes, sells, writes about and of course tastes wine. 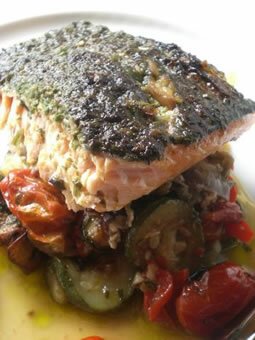 Gary is a regular contributor to GourmetKosherCooking.com, a new and exciting site with over 900 kosher recipes. I would like to receive news and updates from Beis Menachem Chabad - Dover Heights Shule by email. 9. Baking powder – about 2 teaspoons or if using baking soda (1/2 tea spoon) add vinegar until reaction stops, add vinegar slowly. Beat the eggs and sugar together until picks, not the hard picks (I use hand mixer). Add sour cream and butter and mix it again until smooth. Add flour, salt, baking powder (or soda) and mix it again. Bake at 350, for about an hour. That’s for the big loaf, if you make smaller make sure to check, so not to burn it. This makes 5-6 loaves. It freezes really well.